Using the Japanese random weave technique, we will create an organically shaped basket. Handles will be made from driftwood or curly hazel, all different with a unique look. The baskets will be woven around the handles so the size and shape of the baskets will all vary. We will use a mixture of natural materials. 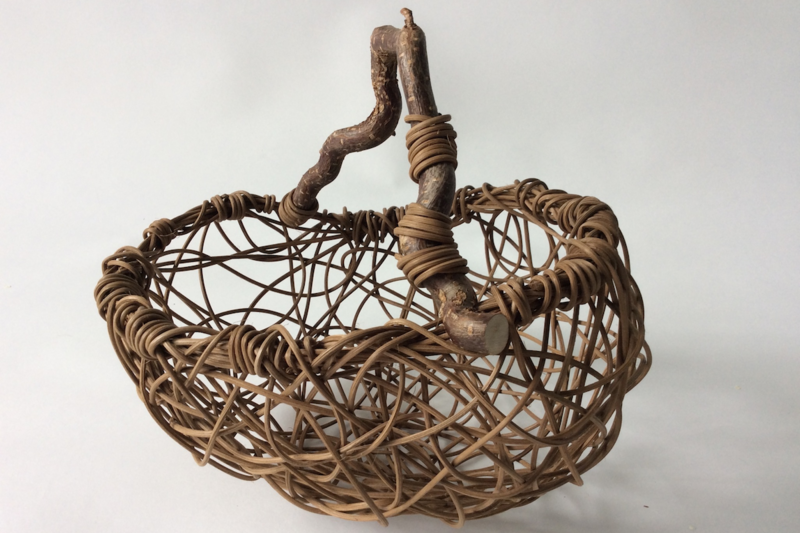 Once finished the baskets are beautiful pieces of home decor, suitable for all sorts of uses such as seasonal arrangements, flower, fruit and veggie harvesting, rustic storage for food, soaps, towels, etc. The possibilities are endless!